NOTE: Sorry, I was not able to attend the September 29th or October 4th X-Prize flights. 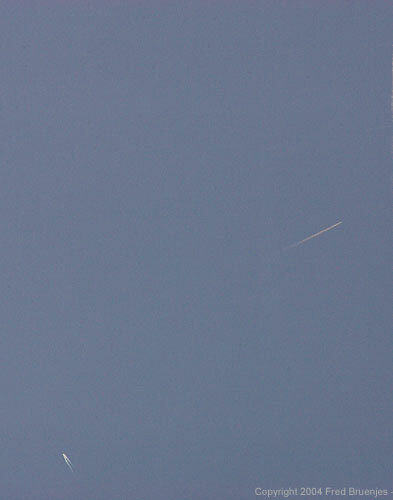 These photos were taken by me, Fred Bruenjes, at the June 21, 2004 launch of SpaceShipOne (also known as SS1). 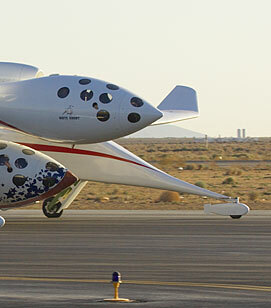 SpaceShipOne was inspired by the X-Prize, financed by Microsoft co-founder Paul Allen, designed by aviation legend Burt Rutan, built by Burt's Scaled Composites company, and flown by test pilot Mike Melvill. I have been extremely interested in the project ever since it was announced on April 18th, 2003. One of the primary reasons I went to the Oshkosh AirVenture in 2003 was to attend a presentation by Burt Rutan about this project. Therefore I was overjoyed when the first into-space launch attempt was announced. 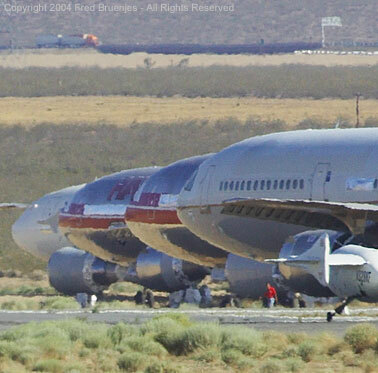 All previous test flights had been conducted in secret. 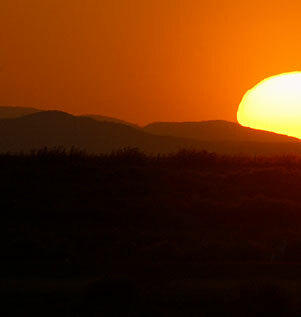 I got up at 2:45AM on the morning of June 21st, drove from my noisy hotel in Tehachapi over to Mojave, and had my position on the field picked out by 4AM. Sunrise wasn't until 5:30AM! There was a good collection of telescopes set up and people were sharing views of the night sky. A steady stream of VIPs arrived in jets. 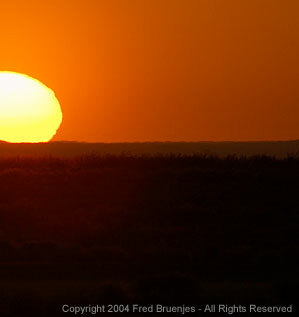 A glorious sunrise on what would become a glorious day. Over 10,000 people were in attendance. Media interest was very high; this TV crew is from Germany. 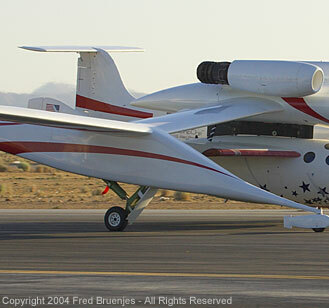 The White Knight carrier aircraft and SpaceShipOne itself were next to roll out. 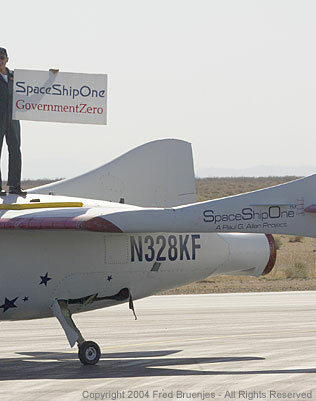 The White Knight carries SpaceShipOne up to 50,000 feet to give it an easier liftoff. 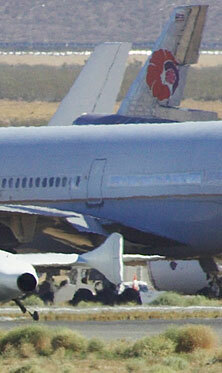 The pilots are waving to the crowd - can you spot the hands sticking out through the fuselage? The pair were closely watched. This shot gives you a sense of the size of the duo. While the White Knight prepared for takeoff, another chase plane taxied by. 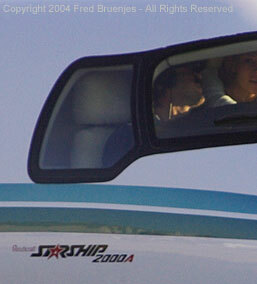 It is a Beech Starship, and it took off ahead of SpaceShipOne. Cleared for takeoff, the White Knight throttles its' engines and begins to roll. Winds were near perfect. This jet will serve as the high altitude chase plane, and it carries cameras for the Discovery Channel. It took an hour to climb to altitude. At higher altitudes a contrail formed, making it easier to pick out the plane. Everyone lost sight of the planes as they flew in front of the Sun. 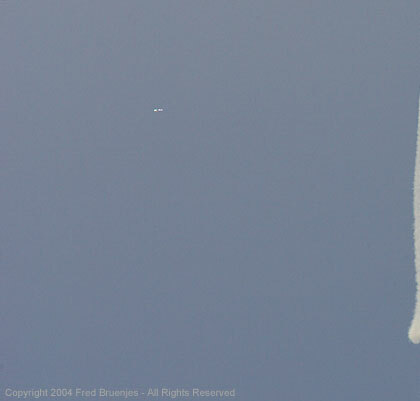 With multiple planes in the air it was difficult to figure out who was who; at bottom left is the Starship, middle is the chase jet, and upper right is White Knight and SpaceShipOne. 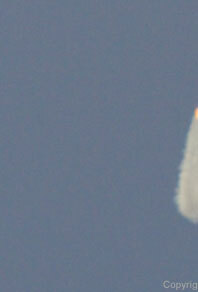 White Knight dropped SpaceShipOne, and seconds later the rocket engine was fired. Thunderous cheers and shouts erupted from the spectators. 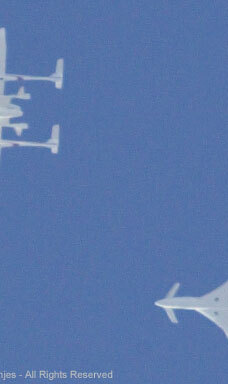 White Knight, peeling away from danger, can be seen to the left as SpaceShipOne continues its' rapid climb. Within seconds it was directly overhead and shrinking fast as it gained altitude. Burnout! Engine exhausted, SpaceShipOne continued to climb on a ballistic trajectory. 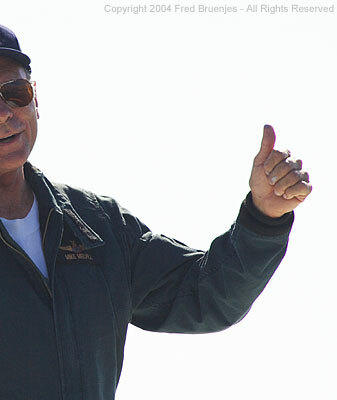 Pilot Mike Melvill is now weightless. SpaceShipOne was now so high that it was just a dot in my powerful lens. Soon everyone lost sight of it. 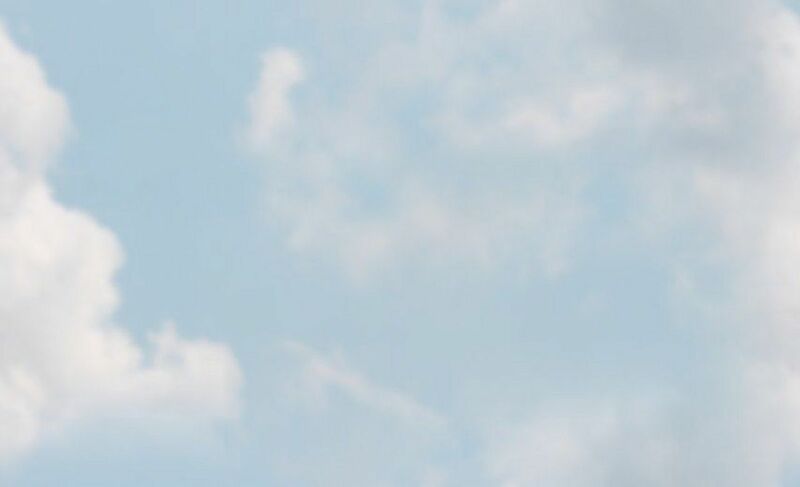 Melvill can see the curvature of the Earth, and has earned his astronaut wings. Mission accomplished, it began to glide back to Earth. 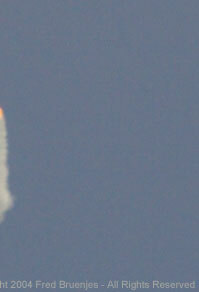 Two soft sonic booms proved that it had done something extraordinary. Again the crowd reacted with deafening cheers, for the sonic booms and again when the ship was sighted. We came to witness history and we were amply rewarded. 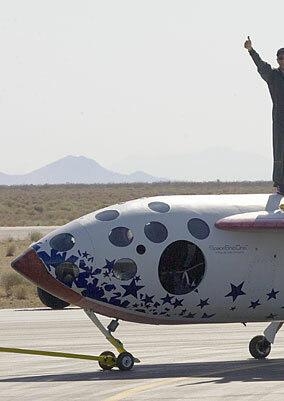 We fully expect to see SpaceShipOne in the Smithsonian some day. Touchdown! Mike Melvill may not like it, but he now holds the record for being the second oldest person in space (first place is John Glenn, due to his 1998 Space Shuttle joyride at age 77), and Mike is now the oldest person to ever command a spaceflight. Mojave is a storage and maintenance yard for airliners; it's fitting that SpaceShipOne was backdropped by these planes, as the advances SpaceShipOne represents will hopefully make space travel as routine as air travel. As SpaceShipOne rolled to a stop, it was followed by a bevy of support and safety vehicles. White Knight returned and made a low, celebratory pass over the runway. The chase planes also made a celebratory pass. 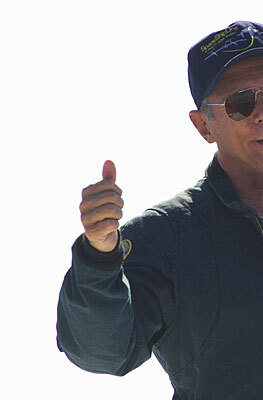 Astronaut Mike Melvill can't contain his excitement after the successful flight. The tinfoil hat crowd was here too. 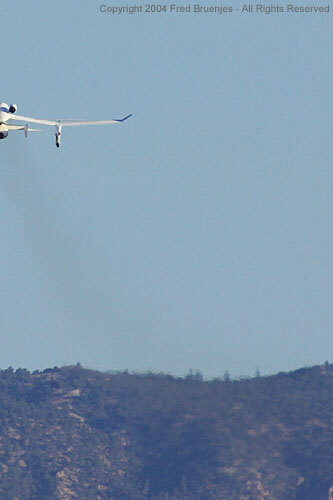 A satisfied Burt Rutan peers out at the crowd. Paul Allen and Burt Rutan discuss the flight; Melvill is sitting atop SpaceShipOne. Space Ship One... Government Zero!